Olatsa Assassin is a soprano vocalist & burlesque artist from Seattle, WA. She is often described as ‘captivating’ and her performance style delights in the juxtaposition between feminine beauty, dramatic intensity and seductive charm. 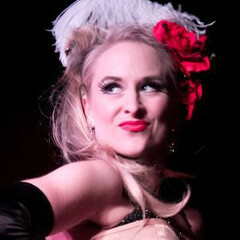 Burlesque performances feature modern music, luxurious costuming and a special flair for the dramatic. Cabaret vocals and acts that combine both song & burlesque strip-tease elicit a vintage atmosphere, ranging from the 1930’s to 1960’s.